Ask yourself what is the purpose of your kitchen? Is it just a space to cook in, or is it more? Is your kitchen used for entertaining, for family time or is it for relaxing? Kitchens are much more than they’ve ever been. But getting it right so that it looks great and works well isn’t easy so here are things you might want to consider to make your kitchen work for you. Let’s start with where you store things. Cupboards used to be such simple items. But no more. A corner unit with a carousel is essential for any kitchen, it lets you get to those items that are at the back with minimal ease and frustration. The range of cupboard and drawer options doesn’t stop there. How about deep drawers for your pans and full extension drawers so that you can get to the back of the drawer unit? Your kitchen should be all about maximising space and minimising frustration. For those items which you may want to have on display, look no further than glass fronted cupboards. Double ovens are a great feature for anyone who loves to cook. At the very least this means you can cook more effectively. Having an integrated oven means you can put your stove top anywhere, if you’ve got the room, consider an island stove top bench. Make the island big enough and you can have your guests sitting around it on stools while you cook like the celebrity chef you are! We have lots of other tips as well as examples of our recent projects on our kitchen renovations page. Take a look to get more ideas for your makeover. Don’t forget about lighting. You will want to make sure that you can bathe the kitchen in bright light when you need that but you’ll also want to be able to soften the lights when you are entertaining and creating ambience. Think about where you position the spaces to make the most of natural light and have the kitchen designed to maximise work surface because that will let you introduce some greenery/ Pots of herbs in a sunny spot are one of those finishing touches you shouldn’t miss out. Having a functional and aesthetically pleasing kitchen will allow you to gain pleasure from it day in day out. Integrate your appliances for clean lines, or make a statement with a stainless steel stand alone double fridge. Think about those lovely extras like a wine fridge, or a dishwasher drawer, or a stainless steel splash back. Consider colour; go for fresh colours or deep rich colours to reflect your character and bring the kitchen to life. For entertaining how about a coffee bar with an integrated coffee machine? So…have you been waiting for long enough? 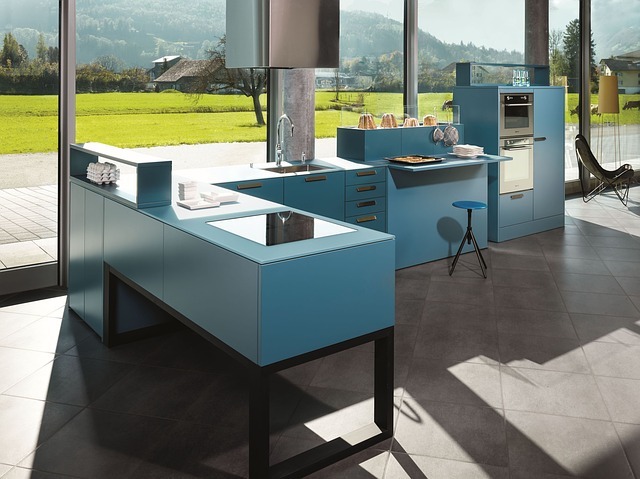 Do you want a kitchen that works with you and not against you? Do you want a space that invites you and your family in? Well, now is the time then to get some ‘must-haves’ in your kitchen through a remodel. Request a kitchen renovation quotation here.